The term misfire means that there is no combustion in one or more cylinders. For example, in this animation, the cylinder 1 misfires and the engine runs only on three cylinders. Animation: cylinder 1 misfires. Misfiring causes the engine to shake and lack power. 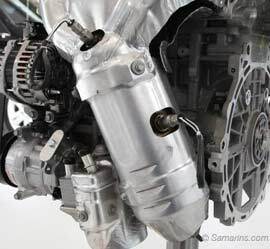 The engine computer or PCM can detect a misfiring cylinder by monitoring the engine speed. The last digit of the code P030X stands for the misfiring cylinder number. The code P0302 means cylinder 2 misfires, P0303 is the cylinder 3 and so on. The code P0300 stands for random misfire. That means that multiple cylinders misfire at random. The codes P0300 to P0308 are called misfire codes. A misfiring engine shakes, runs rough (unevenly) and lacks power. Shaking is more noticeable at idle or during acceleration. The "Check Engine" light on the dash may blink repeatedly or stay on solid. Sometimes, you could also notice a different smell from the exhaust. See this video of a misfiring engine. Can you drive with the engine that misfires? 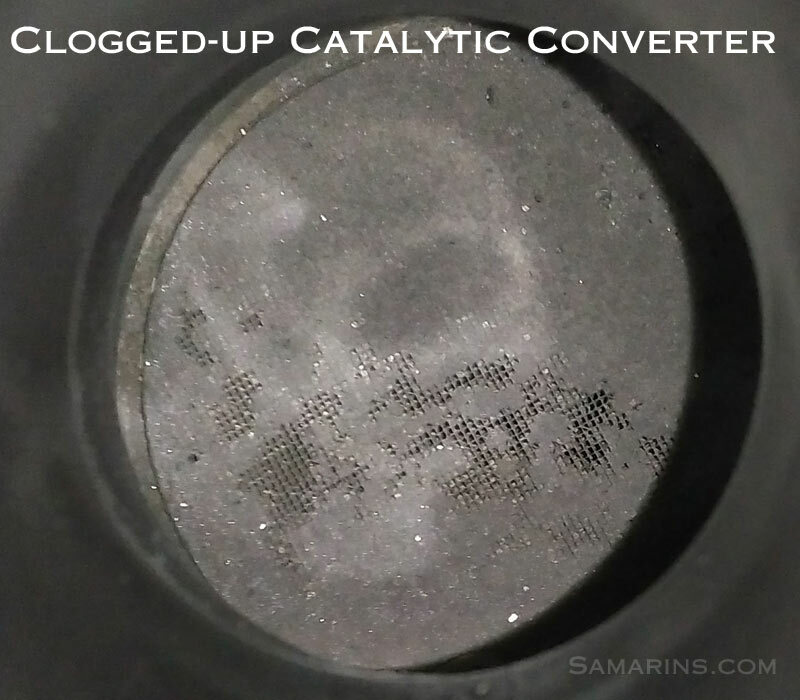 Driving with a misfiring engine can damage the catalytic converter, which is an expensive component of the vehicle emission control system. When one of the engine cylinders misfires, unburned gasoline entering the exhaust can overheat and melt the catalytic converter. Some manufacturers advise not to drive with a misfiring engine; others recommend driving only in a very moderate fashion and having your vehicle checked out as soon as possible. See your owner's manual for details. The most common cause of the engine misfire and the codes P030X in modern cars is a failed on-plug ignition coil. - Damaged or cracked coil pack. 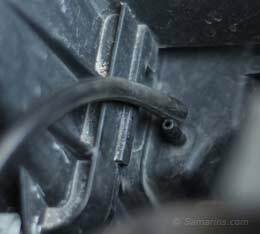 - Damaged ignition coil wiring. - Worn-out, cracked or fouled (in the photo) spark plugs. 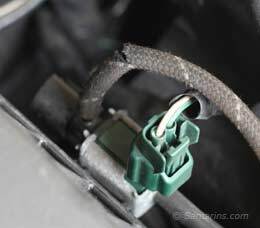 - Cracked or shorted ignition wires. - Bad mass airflow sensor. Often the random misfire code P0300 shows up together with other codes, for example, P0171, P0101, P0102, P0420 and P0401. In this case, the accompanied code has to be diagnosed first. 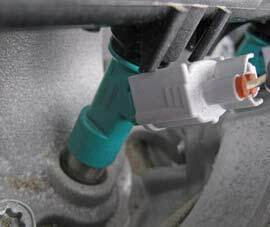 Failed on-plug ignition coils are common in many cars, including BMW, Ford, Hyundai, Mazda, Nissan, Volkswagen and GM. A failed ignition coil must be replaced. If spark plugs haven't been replaced in a while, it's a good idea to replace all the spark plugs as well. 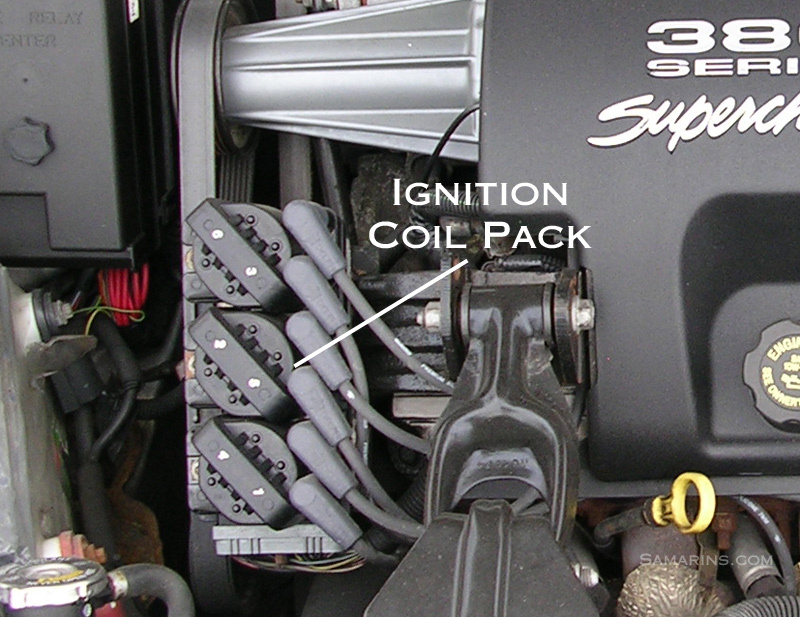 Worn-out spark plugs require higher voltage to produce spark, which adds strain on ignition coils. Some car manufacturers update ignition coils during later production. If one of the ignition coils has failed and the manufacturer has updated the part, your mechanic may recommend replacing other ignition coils with an updated part as a precaution. 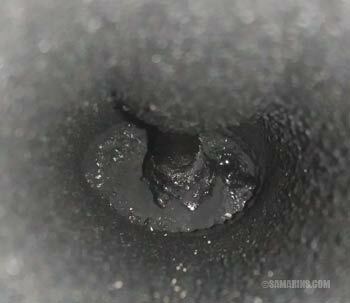 Carbon buildup on intake valves and injectors has caused misfiring in this direct-injected engine. This valve doesn't look too bad, we have seen much worse. In many modern cars, especially the ones with direct fuel injection, carbon buildup on intake valves (see the photo) and the injector nozzle can cause a misfiring. Some mechanics may recommend cleaning the valves with a special spray or foam, as it's less expensive and sometimes helps. The more effective option is to clean the intake valves manually. Clogged fuel injectors need to be replaced too. This repair is costly, as it involves more labor; the intake manifold and some other parts will have to be removed. We found a number of Youtube videos on the subject. Vacuum leaks, as well as a stuck-open EGR valve or purge valve (solenoid) can cause misfire that mostly happens at idle, but goes away at higher rpms. Read more: Vacuum leaks: common sources, symptoms, repairs. 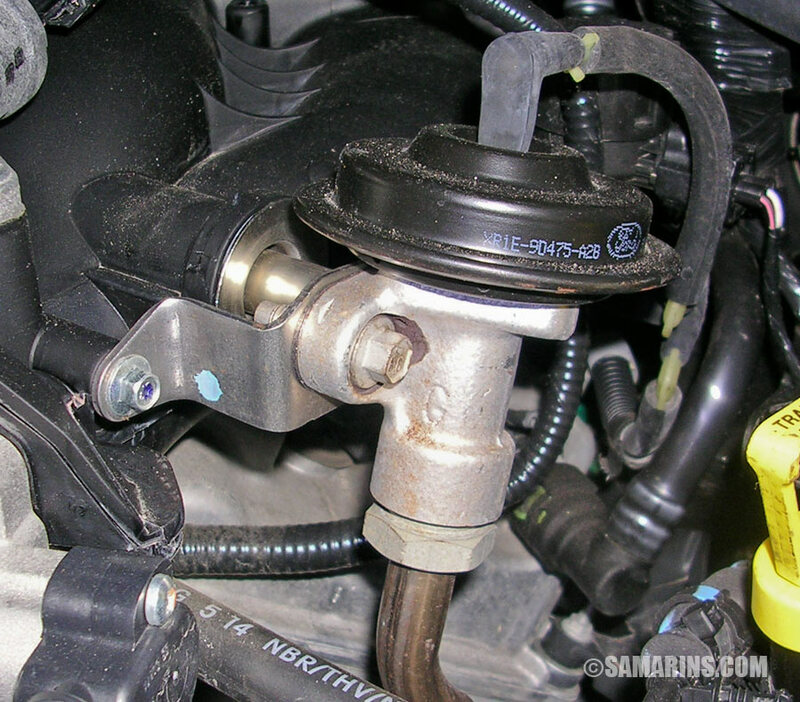 In some older Honda vehicles misfiring can be caused by valves being out of adjustment. Misfiring could be more noticeable when the engine idles after a cold start. As the valve train components wear, the valve gaps change; to compensate, the valves in many Honda engines need to be adjusted in recommended intervals. Sometimes, the engine could misfire if during the timing belt or chain replacement, the timing hasn't been set properly. If the problem started after replacing a timing belt or chain, checking the timing is the first thing to do. 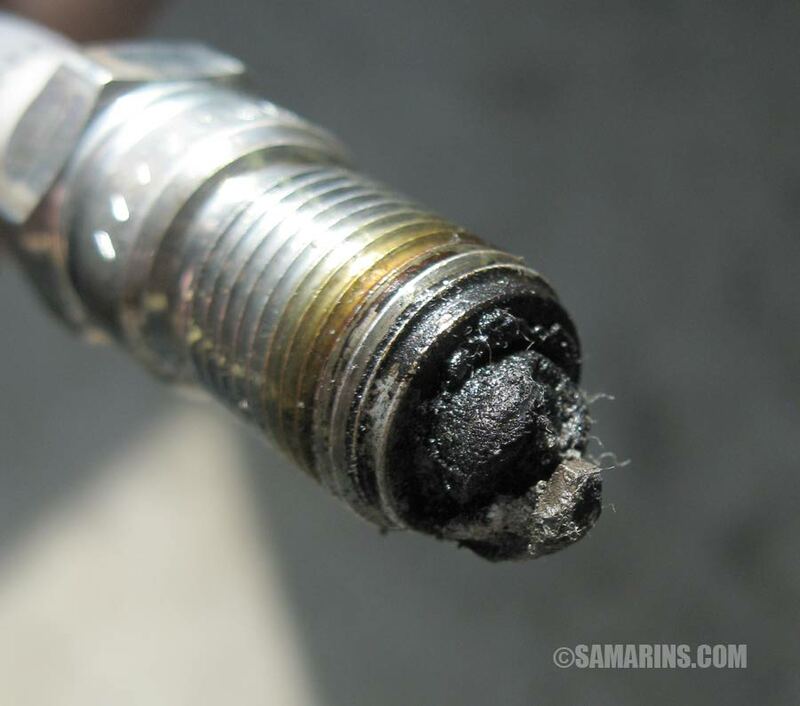 In many high-mileage cars, oil leaking into a combustion chamber from worn valve seals and oil rings can foul spark plugs causing misfire; often an engine misfires at idle, but runs better after revving up. A blue smoke is another symptom of oil leaking into combustion chambers. In many older cars, washing the engine compartment or driving through deep puddles can cause the engine to misfire, as water gets into the ignition components and shorts them out. 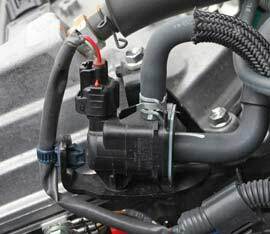 A tune-up with new spark plugs and ignition wires often fixes the problem. 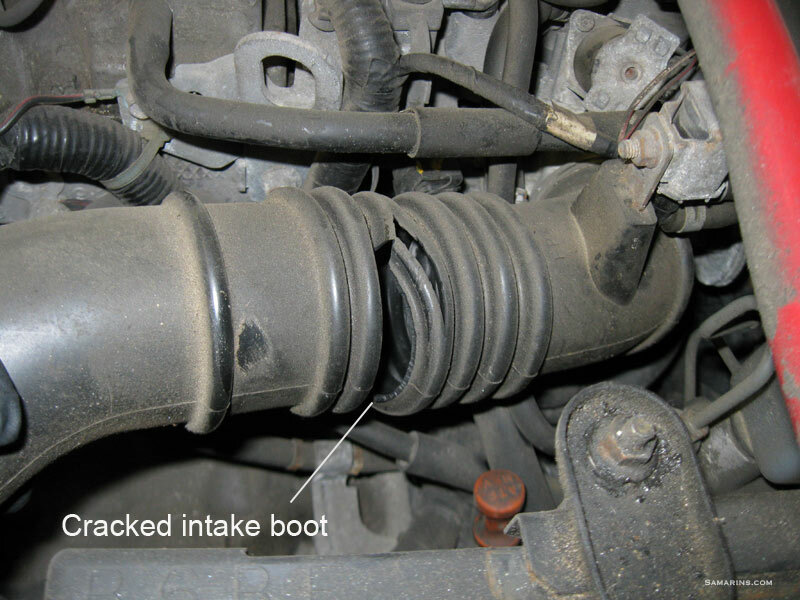 On-plug ignition coils that show cracks or signs of arcing need to be replaced too. 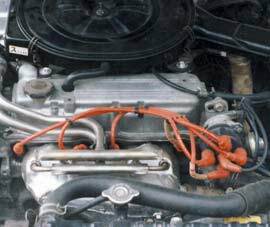 In older cars with a distributor ignition, a distributor cap and rotor are also replaced as a part of the tune-up. In some GM vehicles with V8 engine from late 90's to early 00's, a corrosion at the ECM ground terminal can cause misfiring codes. Cracks or corrosion spots on the coils are known to cause misfiring in the rotary engine of Mazda RX-8. Whenever you have a misfire in the Mazda RX-8, coils, spark plugs and spark plug wires are recommended to be replaced first.